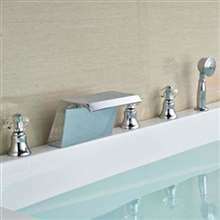 Morelia Double Handle Brushed Nickel Wall Mounted Bathtub Faucet. 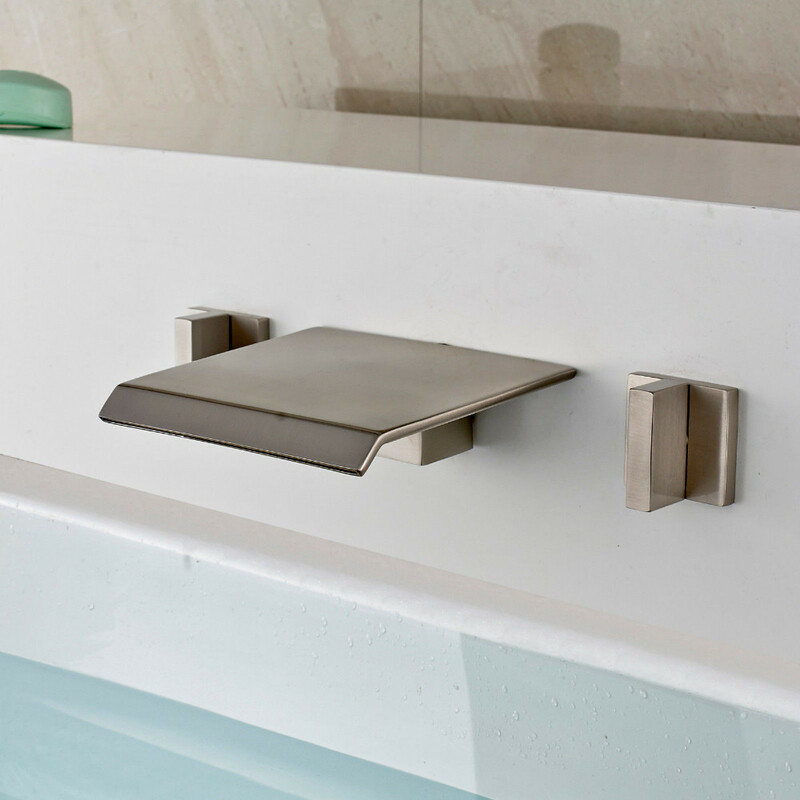 Our Morelia bathtub faucet is ideal for contemporary bathrooms decorated in a classic style. 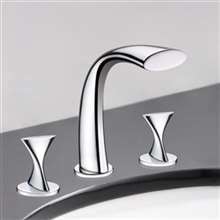 The straight lines and the brushed nickel finish will make this beautiful faucet fit in any modern décor. It comes with hot and cold water mixer for your convenience. 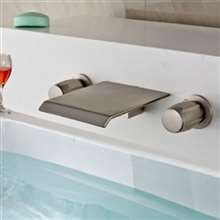 It is deck mounted, three holes, with brushed nickel finish. The body, spout and handles are made of brass, while the valve core material is ceramic for best performance and long lasting life time. It comes complete with accessories and installation instructions. I can't remember exactly but I think it was November last year when we had this installed. It hasn't shown any problems since the installation, and so we're thinking that this must me of good quality. The only issue we had was with the shipping which too quite a while, about two weeks off schedule. Although I would say that this is a great product overall, I do have an issue with one of the handles, which was pretty loose compared to the other. Even the plumber said that it shouldn't be that way. However, it doesn't really have a negative impact on the faucet's function, and I'm hoping that there won't be any. I loved the design of this one, in fact, it's the design that made me place an order. 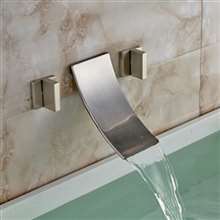 I've never had a wall mounted faucet before, but I'm imagining that it would look really good in the bathtub. I was talking to the plumber as well while he was installing this faucet. He said it's one of the good ones that he's seen so far, which made me even prouder about my choice.